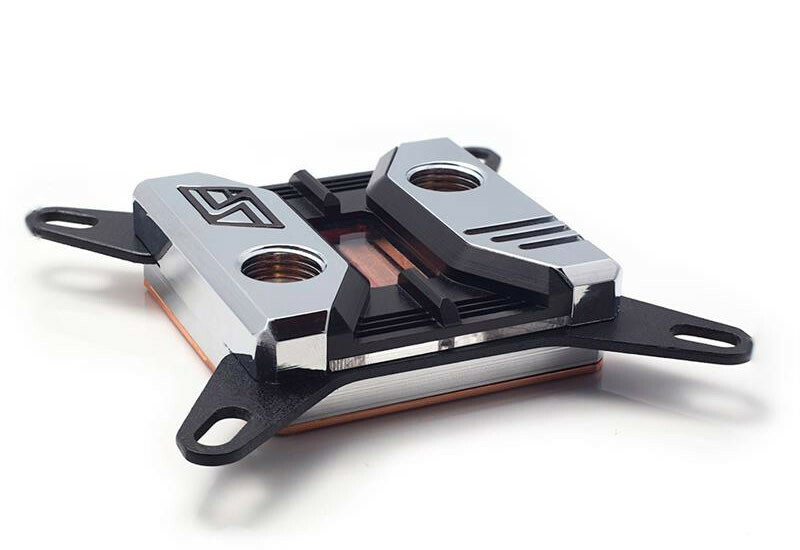 Swiftech introduced the limited edition Apogee SKF Heirloom Series CPU water blocks, which come in unique collectable colors, and which can be accessorized using mods and inserts. 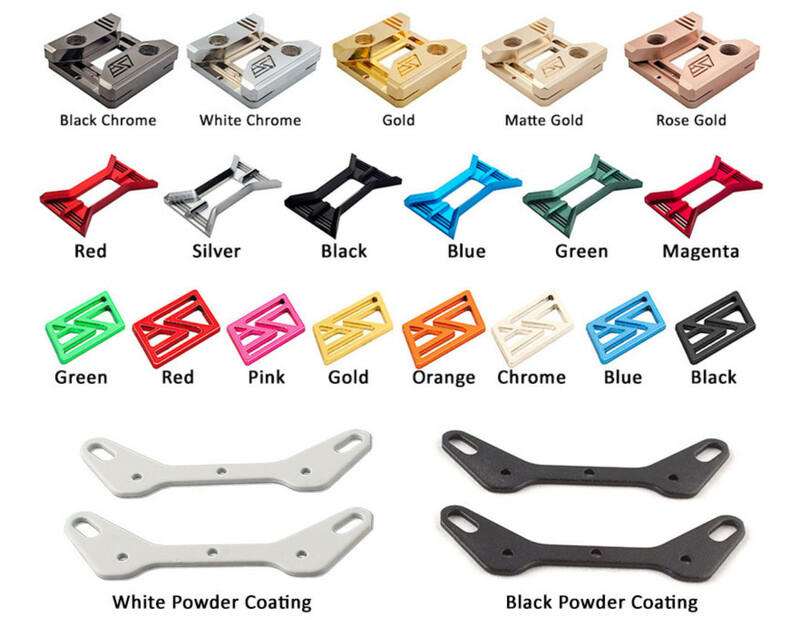 The block is predominantly made of copper with an anodized aluminium top, and comes in five color variants - Black Chrome, White Chrome, Solid Gold, Matte Gold, and Rose Gold. The top features an acrylic cutout over the block's main dissipation area. This is where an insert goes in; available in six colors. 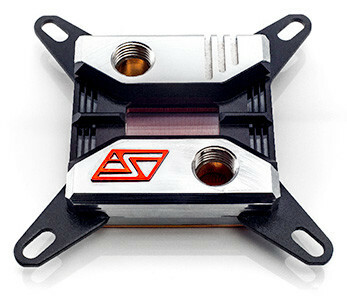 The Swiftech logo on the metallic portion of the top holds a second color insert, which comes in six colors. The retention bracket comes in two colors - black and chrome. Under the hood, the block features hundreds of 125 micron-thick copper fins for effective heat dissipation. Available now, the Apogee SKF Heirloom Series is priced at $94.95, and includes one choice of inserts, each. For $5 more, you can laser-engrave a phrase on the top. is that clear in the middle there?